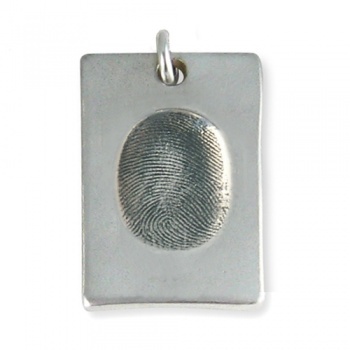 Our Chunky Necklace Fingerprint charm holds a fingerprint and name. Made from more silver than a Classic charm with six shapes to choose from. Our Chunky necklace charms are just under 2mm thick and generally a bit bigger than a 10p piece. Each fingerprint charm can hold a fingerprint and name written in a choice of 3 writing styles. Buy them on a Chunky charm necklace or individually. We will send you your fingerprint impression kits and order personalisation form. You take your prints and complete the order form so we know what names and lettering style that you want. Then simply return it all in the reply paid envelope. We send you a fingerprint jewellery impression kit for each child with your order personalisation form via 1st class mail. You take your fingerprint impressions using the very easy, non-toxic, putty impression kit. It just takes minutes. If you don't like the print, simply re-roll and try again. You then fill in the names, date of birth and your choice of wording (lowercase or uppercase hand engraved text or hand stamped text) and any other requirements and return the order form with the fingeprint jewellery impressions in the reply paid envelope. 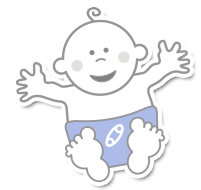 Suitable for babies from 4 months. 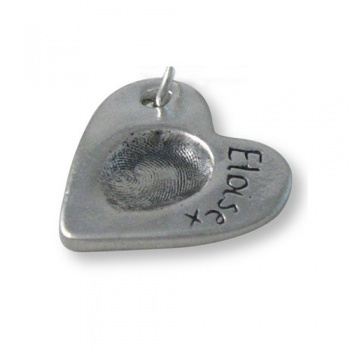 For babies under 4 months or with no fingerprint lines we can make handprint or footprint jewellery instead.